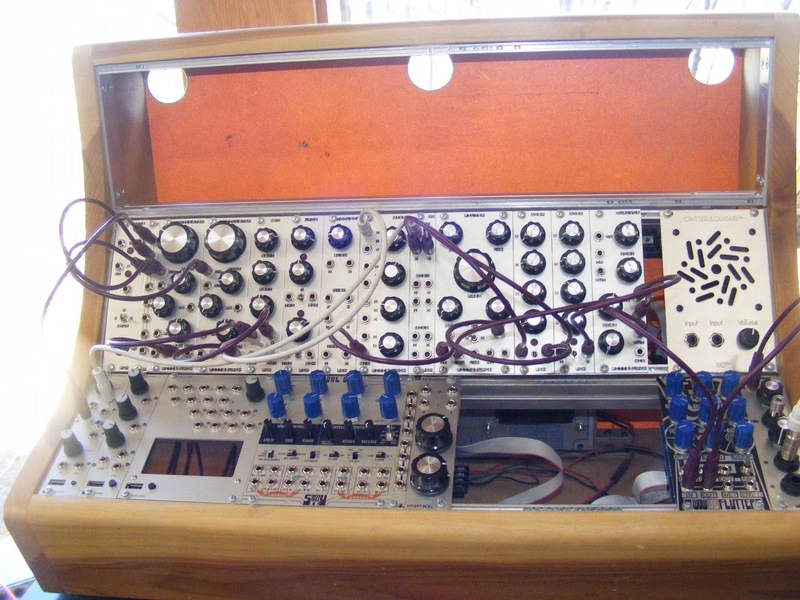 I stated earlier that I'm a bit of an East Coast lover - I always want at least part of my modular system to have a classic Moog-y sound. This was pretty easy with the 5U system, because that's the alter at which they worship. However, in Euro world, there is a lot more interest in West Coast (or sometimes 'tween Coast) synthesis, and so there's rather little that is super-East Coast focused. I was going to provide a review, and this MW thread reminded me that I need to talk about it! 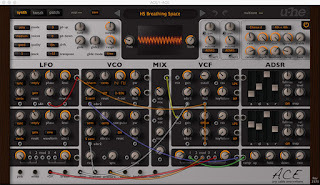 AJH is diving into East Coast synthesis in a big way, and I recently picked up the Mini Mod filter. 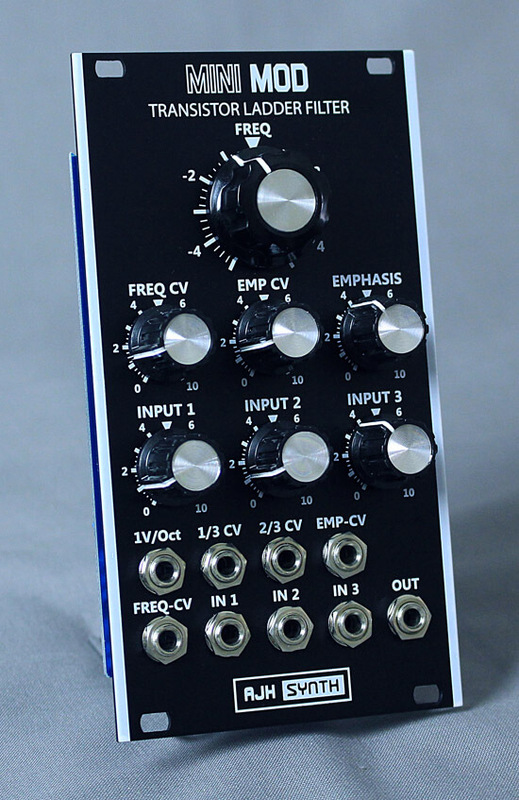 It uses voltage rails that emulate the internals of the Minimoog, and a UI that combines both a ladder filter and a Moog-style audio mixer. And the damned thing nails it for me. Its reactivity to modulation input has the right 'curl' to it - it's easy to dial in an AR or ADSR to get that growl in the CV response. 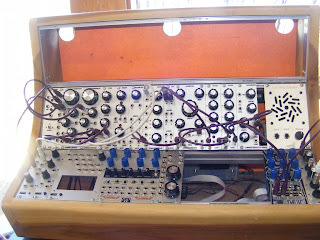 The resonance whistles appropriatey, and the mixer overdrives in a really awesome way. I generally use it as a filter for my modified Pittsburgh filter, although it really makes a Braids light up in a great way. 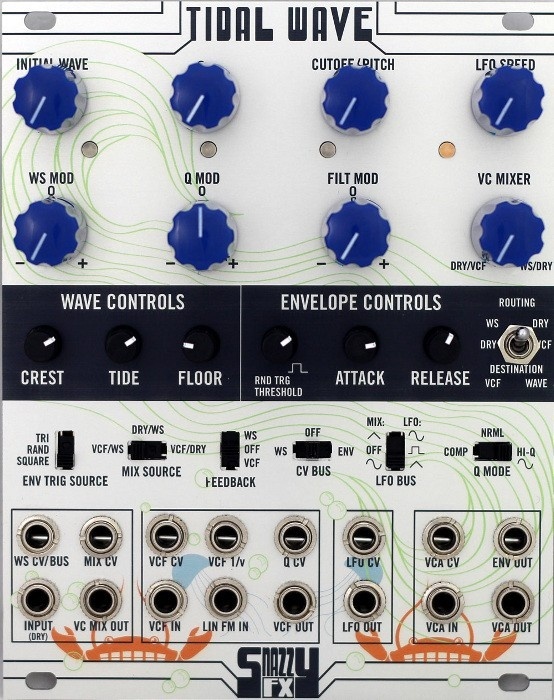 The filter is clearly East Coast - it's not that useful without a classic 80's oscillator set - but have a pair of oscillators screaming out a fifth and it is golden. ... 'cuz you know it's going to happen! I had a weird experience this weekend: I needed to quickly create the audio bumpers for my podcast, and quickly fired up Ableton Live. 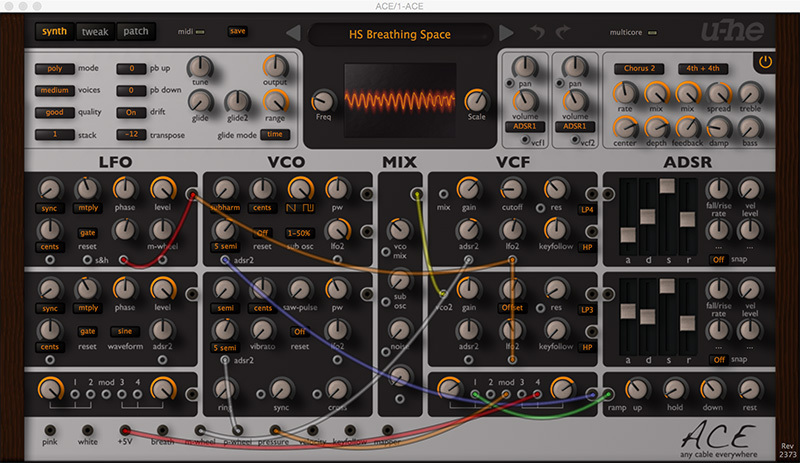 Dropped in an instance of ACE, and instances of my favorite drum kit and another polysynth, used some Mono Sequencer instances, and had a nifty track in about 10 minutes. And, sadly, it sounded better than anything I've composed on the Octatrack. 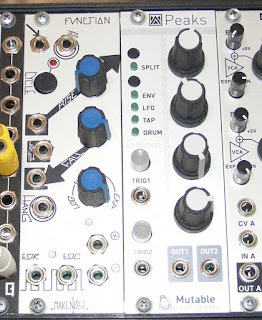 I love the Octatrack for its compactness. I love it for its ability to toy with samples in unique ways. 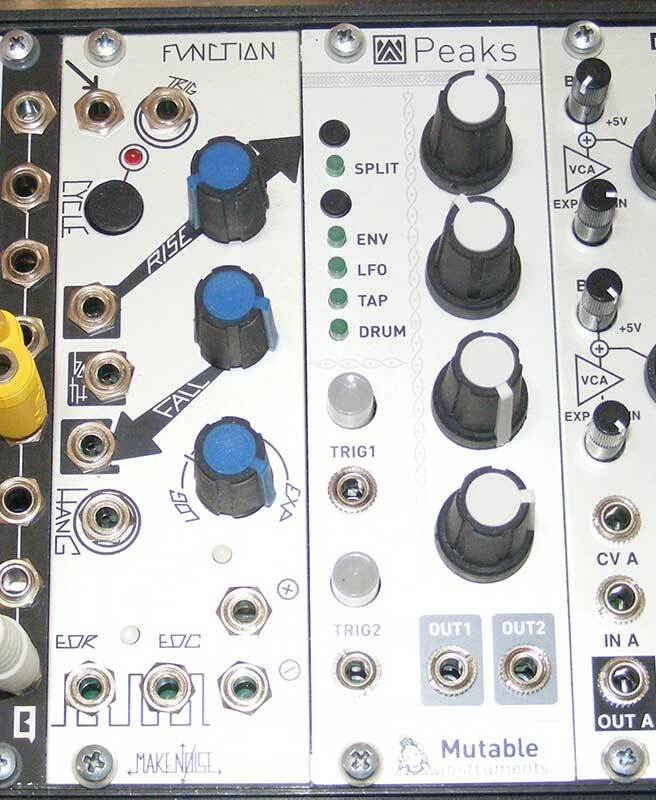 I love the plocks and the crazy scene/xfader system. 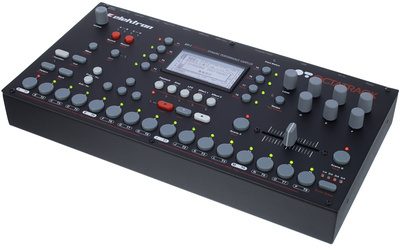 I dislike the short sequences, the disconnected MIDI system and the remember-too-many-button-punches user interface. Love the Flex Machines. Really dislike the Pickup Machines. I'm considering selling it (again!). I need your help. Talk me out of selling? 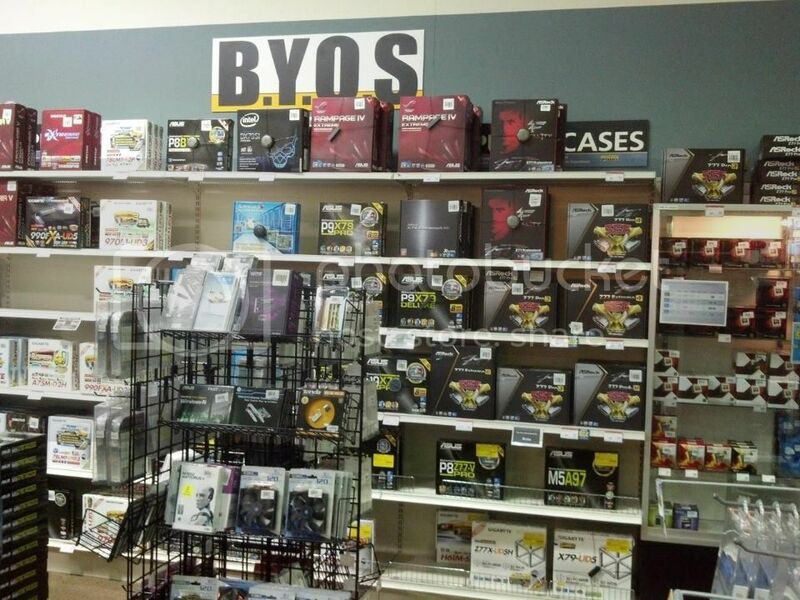 Talk me into selling and refocusing on Live (and MFL devices)? Quit whining and enjoy my first-world life? 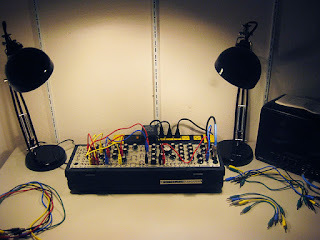 I'm working on a video series on synthesis, and am setting up a corner of the house to be a specific patching location. This way, I don't have to worry about setting up lighting and camera position every time I want to pump out a video. Work continued today, with the Foundation 2 system wired and tested through a Yamaha MS-202 powered speaker. 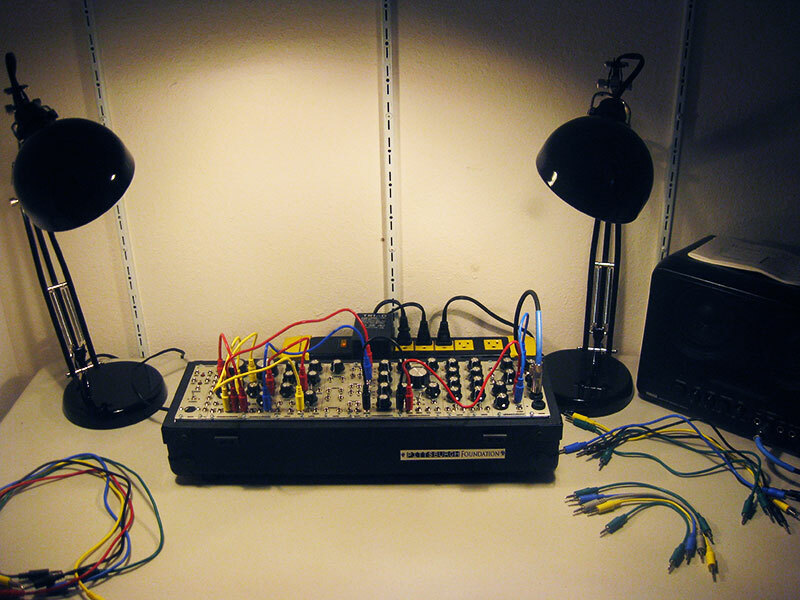 A couple of Ikea lamps will provide LED-based lighting. Next up is the installation of the MIDI keyboard and placement of the video camera mount.